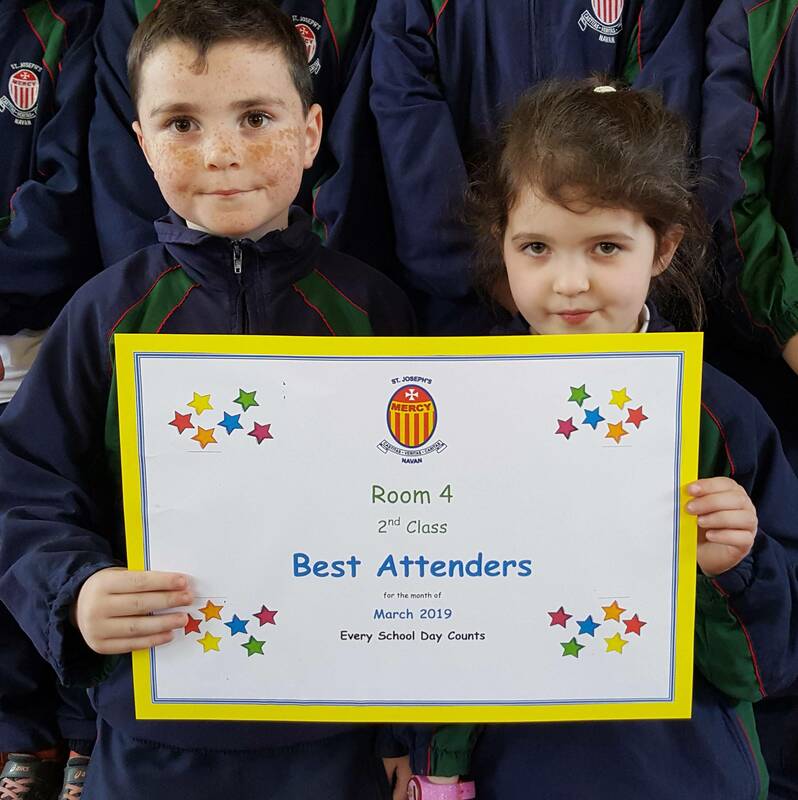 The children in Ms. Regan's second class were delighted to hear that they were the best attenders in the school during the month of March. The children got a total of ten gold stars and six silver stars during the month. They were awarded with their certificate and their prizes in the hall today and now they are hoping to be the best attenders for the month of April! It is so important that children attend school every day. Every school day counts! 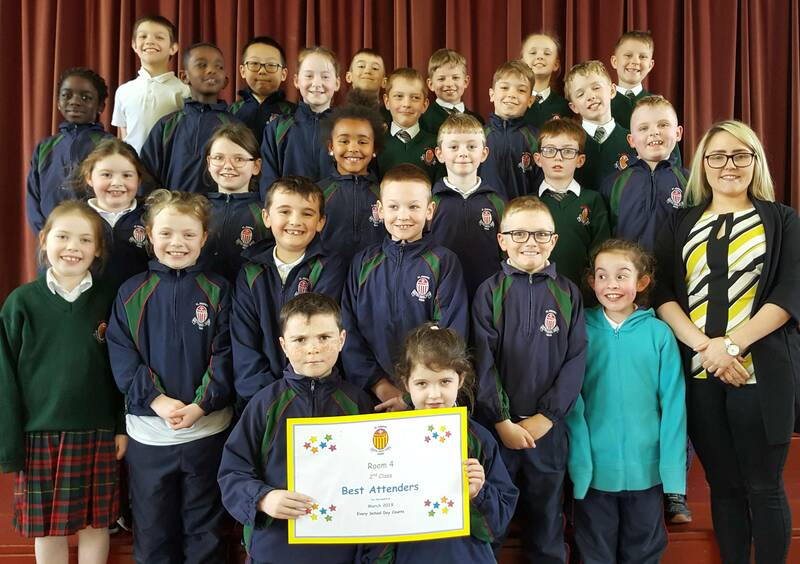 Well done to the children in Ms. Regan's class. Maith sibh!